So we have a thing in my family called a Cauliflower pie- its yum, I remember growing up my Mum making this tummy filling mixture of vegetables and cheese sauce covered in a creamy potato mash smothered in more cheese baked till it was bubbling and hot, served usually with a steak proudly cooked by Dad on the BBQ, and peas. My Dad loves peas. We would have this once a week, plates almost being licked clean, no one could ever say we were bad eaters- my sister and I ate grown man sized portions since I don’t remember when- my Mum was a hearty cook, now that I think about it she was never that great at portion control, but always on time. On the table ready to eat at 5:30 EVERY NIGHT -why so early you say?! She never liked cooking so she made dinner time for Dad the same time as the kids so she only had to do it once- get it over and done with, and the habit stuck- the time of 5:30 seemed to fit in well with just after Neighbours but before Home and Away or what ever it was that wasn’t the News. When my sister and I finally left home (always to return mind you) Mum continued this tradition of the wonderful Cauliflower pie for Dad- until that fateful day he had to confess he hated it. What a good Dad, ate it for the sake of the children. Didn’t phase Mum. She kept making it for him and he would eat it. As long as there was food on a plate my Dad would eat it whether he liked it or not. I have to confess my Mr Lid also is not that fond of Cauliflower pie- I am. Its a great way to get rid of all the old vegetables in the fridge!! Like I have said before I am not one for measuring things- be confident, trust me, as long as the ingredients are kinda the same I am sure it will be lovely. I cook Carrots and the Cauliflower at the same time about 5 minutes- depends on how much you have and just before it is cooked I add in the Broccoli for another 3-4 minutes- then run everything under cold water till cold. Equal quantities of Butter and Flour- Melt butter in a pan- stir in Flour- should be a paste. Keep saying this to yourself- every time you add milk stir it till it thickens and bubbles a bit doing this each time you add milk will ensure you are cooking out the starch in the flour and your sauce is not lumpy or floury. Next the cheese- this will thicken your sauce more (hence the little extra milk) add this stirring till it melts- start with a little, don’t be scared you can always add more- you just cant take it out once its in. I use a Edam- because that is what we have in our fridge, tasty is great, or for a swanky dish try using a little blue cheese as well, nutmeg or bay leaves anything can be added- totally up to you. Lastly Salt and Pepper- I like freshly ground Black pepper, just ads a bit of pep. Cook till soft, drain and let steam a bit to help evaporate some of the moisture, add a dash of milk and a knob of butter a smidge of salt and a bit of pepper and mash- by hand with a masher or with one of those fancy stick blender things which every kitchen should have! In a dish large enough to hold your vegetables cover them in your cheese sauce and cover with your mash- any cheese left over? Sprinkle ontop and wait. This can be made the day before, or in the morning, or just before you would like to eat it- just pop it in the oven (or microwave) and let it heat through till its all golden and bubbly. I am totally new to this sort of thing- having to figure it out for myself while computer savvy Mr Lid is at work.. even if work for him the last few days has been in the next room! He has left me to my own devices. Big mistake. I am all about food- making it, eating it, thinking about it- writing about it is weird, so much to say. I am not one for measuring or following recipes- I have lots of cook books- never counted them (must do this! I will make a point of it over the weekend) But I have never read them from cover to cover. I have drooled over every picture, read the ingredients, and tried to make it taste like I think it would if it was a scratch and lick photo, this I think is the most important thing about cooking- making it to what you think tastes good- not what someone else tells you tastes good?! Who are they to tell you what is spicy enough? Or salty enough? I think recipes are more like guide lines or suggestions. I say all this but there is one exception- baking.. baking is a science- follow the recipe, at least once, after that change it, substitute this for that- google is a chefs best friend, that and dogs, or cats if you prefer. In 2012 a small group of friends bought together through a love of fine food and wine started ‘The Supper club’ we meet once a month for a night out on the town, anything from dressing swanky and heading out for a 9 course degustation , a casual meal somewhere up and coming or a coffee at a local cafe. Most outings we have vouchers for from the Entertainment Book, a great way to support local groups that are fundraising- Mr Lid and I are supporting my sisters Play centre. 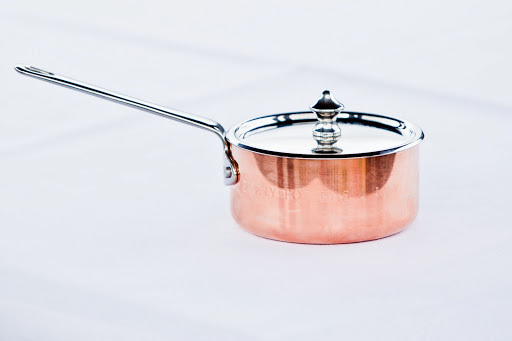 Mrs Pot & Mr Lid- funny story behind that, when I was growing up (well late twenties) my mum always said to me that every pot has a lid and one day I would find mine…a perfect fit and someone who would complete me, cheesy I know but I did and we got married about 10 weeks ago!! I am a chef and I have 12 weeks off work as of yesterday- my mission- start a blog.